Oh my, it was an interesting ride taking Align Prebiotic + Probiotic Gummies. I ended up giving these gummies an unfortunate 1.5 out of 5 stars. I even debated if it only deserved 1 star but it had a few redeeming qualities. 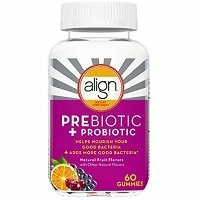 I was really torn with this probiotic because Align is HUGE name in the probiotic world. 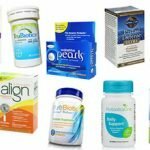 Align is one of the first brands I tried when I first started taking probiotics and was even recommended by a doctor of mine. So I had high hopes for this gummy. Ok, so I’ll start off with what I like about it and then get to my main issues with it. If this were strictly a taste-test rating, it’d pass with flying colors! They’re also so convenient because they don’t need to be refrigerated and you don’t need water. Plus, gummies just make everything better. BUT we need a lot more going on for it to be considered a quality probiotic. So here are my issues with it. Right off the bat, it’s just not potent enough. It only has 1 billion CFU per serving and that’s just not going to get the job done. To make matters worse, it only has 1 probiotic strain, which is severely lacking diversity (another very important area). And to add to the problems, the strain it has is one of my least favorites. Bacillus Coagulans doesn’t gel with me AT ALL. I always have awful side effects from it and trust me I’m not the only one that experiences this. And I really just didn’t see any positive effects on my health or digestive issues with this one. So all in all, this was a major let down for me. Align Prebiotic + Probiotic Gummies only has 1 billion CFU per serving (2 gummies) and comes in 1 probiotic strain. 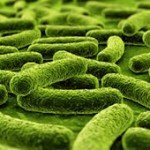 The particular strain that’s used is Bacillus Coagulans Unique IS-2™. Research shows that it may help alleviate some common digestive issues, inflammatory bowel diseases (IBD, Crohn’s disease, ulcerative colitis), Irritable Bowel Syndrome (IBS), and potentially help prevent respiratory infections. It may also help balance bacteria levels and prevent diarrhea, including viral diarrhea in children, traveler’s diarrhea, and diarrhea caused by antibiotics. Unfortunately, Bacillus coagulans is one of my least favorite strains. It’s very hardy and is known to create spores in the body. Those spores potentially lead to uncomfortable side effects like belly pain, bloating, diarrhea, and gas. These side effects are NOT fun (I can vouch from personal experience). And ironically it’s these types of side effects that we’re trying to prevent in the first place by taking probiotics. It does have the prebiotic inulin, which is in the form of chicory root fiber. Prebiotics help nourish and feed the good bacteria that are already in your body. Align Prebiotic + Probiotic Gummies don’t seem to have any allergy concerns. It doesn’t have any allergens listed on the bottle or the website. So, I guess that’s good! Here are the other ingredients in the gummies: Water, Sucrose; Less Than 2% Of: Pectin, Natural Flavors, Citric Acid, Sodium Citrate, Color (Black Carrot, Annatto, Genipap Juice Concentrate, Watermelon Juice Concentrate), Coconut Oil, Carnauba Wax, and Corn Starch. It costs $21.99 for a bottle of 60 gummies. The dosage is 2 – 4 gummies daily, so it lasts you anywhere from 15 to 30 days. 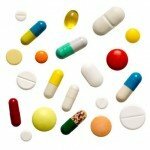 If you take 2 daily it costs $0.73 per day, which is about average for a probiotic, maybe a tad higher. But if you take 4 gummies, it’s a daily cost of $1.46. That’s super expensive! I think it costs too much and doesn’t last you that long. So I don’t think it’s a good value for the price. I definitely had side effects with this gummy. The dosage is 2-4 gummies daily and when I bumped up to 4 daily I had awful side effects. I had stomach cramps, bloating, and gas. Not fun at all! This particular strain, Bacillus coagulans, is just killer for me and always leaves me feeling icky. I’d suggest starting off with 1 or 2 gummies and slowly increasing to 3 or 4 if you need the extra support and seem to be tolerating them well. Yes, it shows a 60-day money back guarantee on the actual bottle of gummies. Procter & Gamble stands behind its products and it states if you’re not satisfied with Align, simply return the UPC code from the package and the original sales receipt within 60 days of purchase for a full refund in the form of a prepaid card. You can visit AlignGI.com/Refund for more information. The prepaid card is a little different but I’m impressed because this is one of the only times I’ve seen a distributers money back guarantee on a bottle. 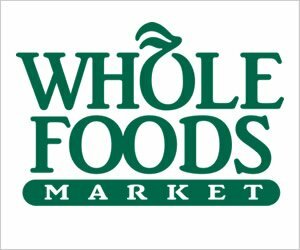 Also, this probiotic can be bought in store and online at places like Target, Walmart, CVS Pharmacy, and Amazon. To buy Align Prebiotic + Probiotic Gummies, click here.